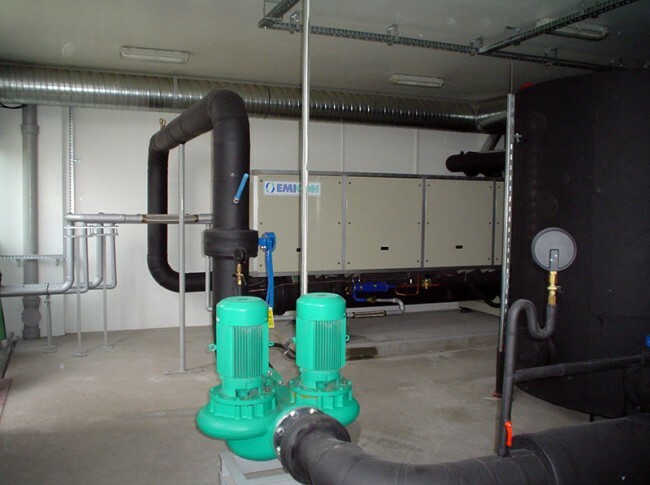 Existing chilled water plant consisted of two air cooled chillers of approx 1000 kW cooling capacity each (350T). 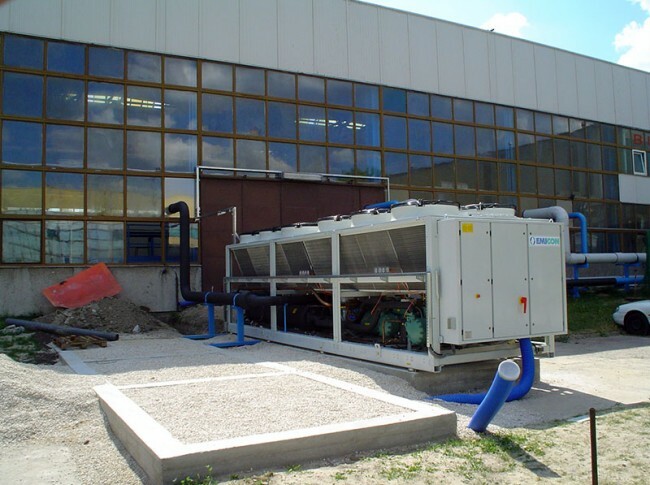 Chillers had relatively low COP; water storage and circulation were questionable. 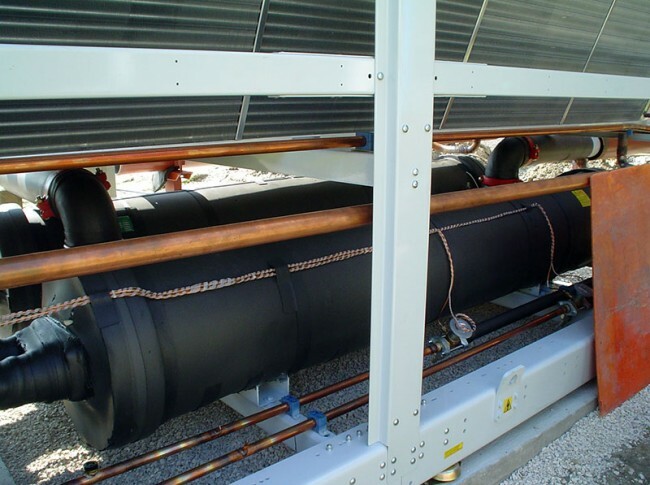 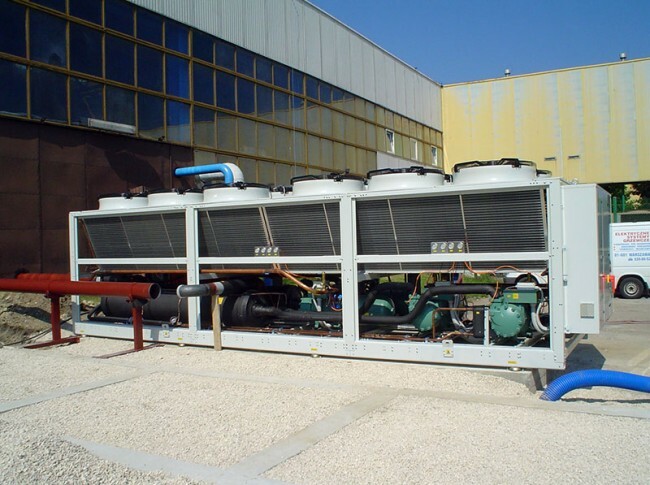 Chilled water in the facility is utilised for HVAC and for technology cooling purposes. 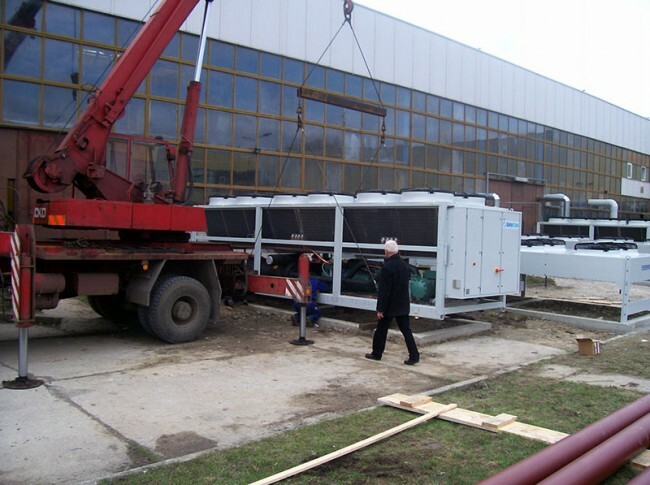 For freeze protection purposes all pumps were running continuously, indifferent the chillers were in operation or not. 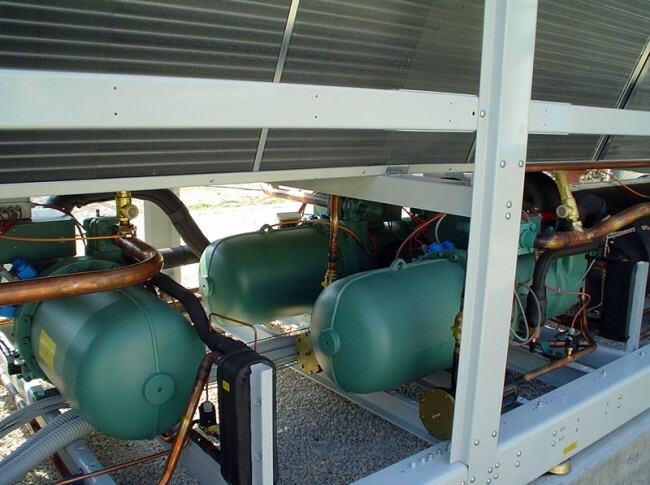 Demand for chilled water increased due to the increased production. 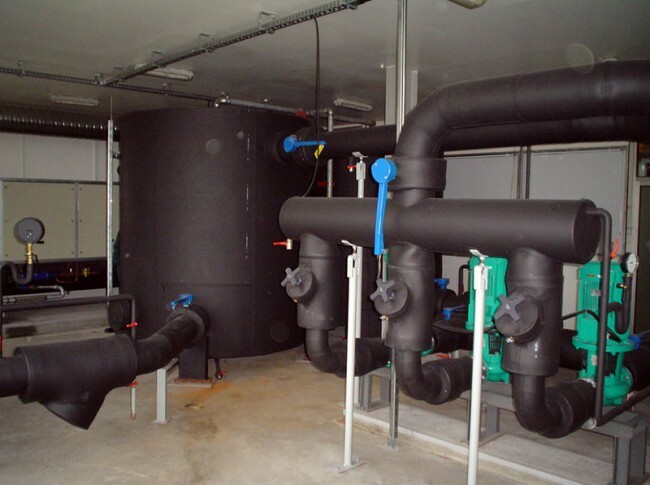 At the same time Owner was interested in higher efficiency of chilled water production thus reduced energy costs per l/sec (GPM). 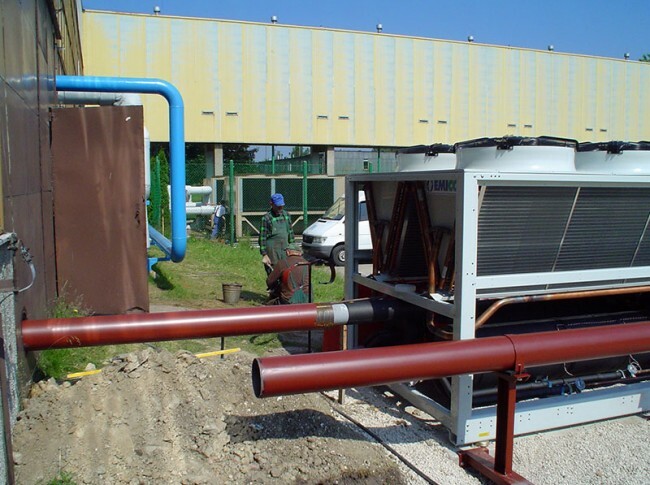 It is worth noting that due to the shortage of skilled maintenance personnel air cooled chillers were preferred rather than water cooled with cooling towers. 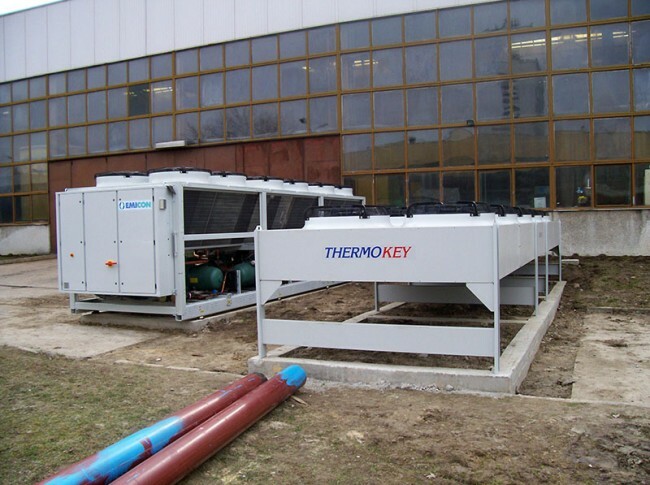 Two additional chillers of 1000kW each were added to the system. 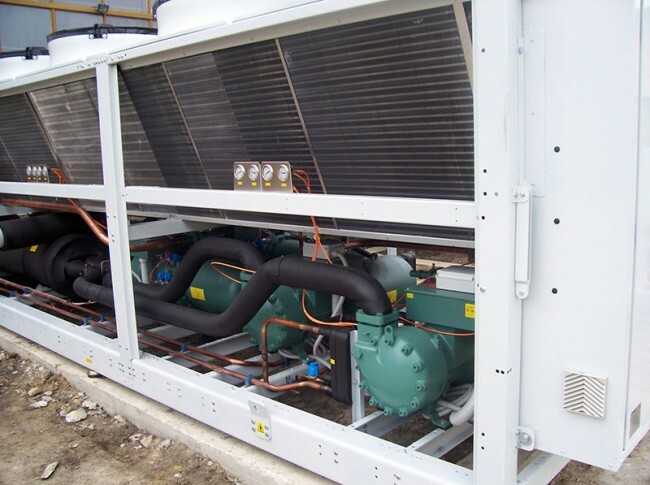 New chillers were high performance with oversized air cooled condensers and evaporators, variable speed condenser fans and super high efficiency screw compressors. 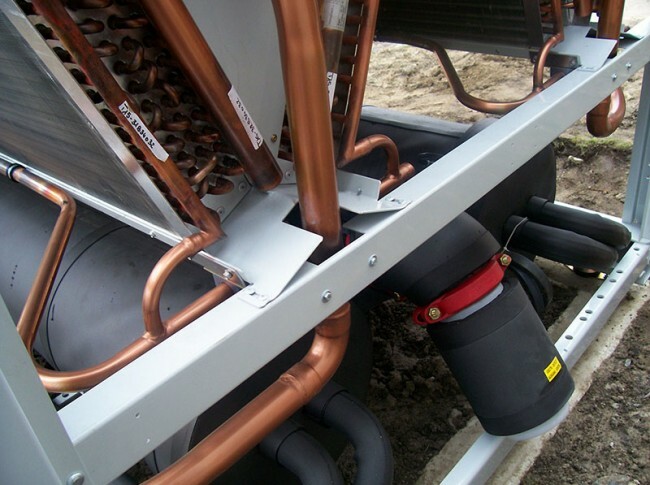 New chiller hydrostatic pumps were installed in the chilled water tank. 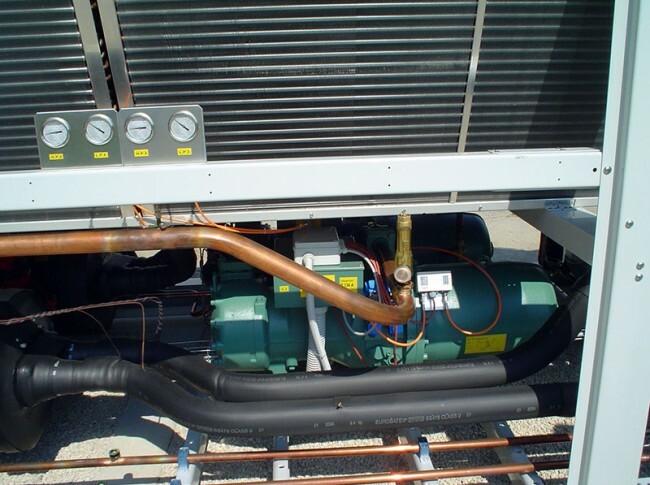 Chiller pumps were connected with the chiller’s controls so when the chiller was not operational respective pump did not start. 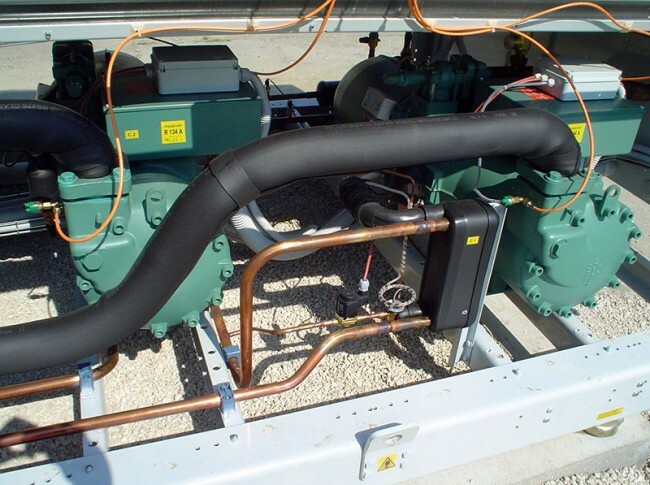 Freeze protection was implemented with heat tracing activated only when required. 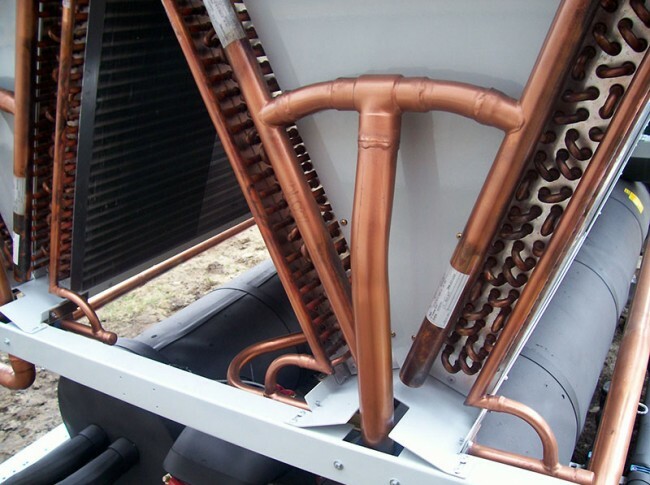 Air cooled free cooling was installed, with air cooled fluid coolers featuring variable speed fans. 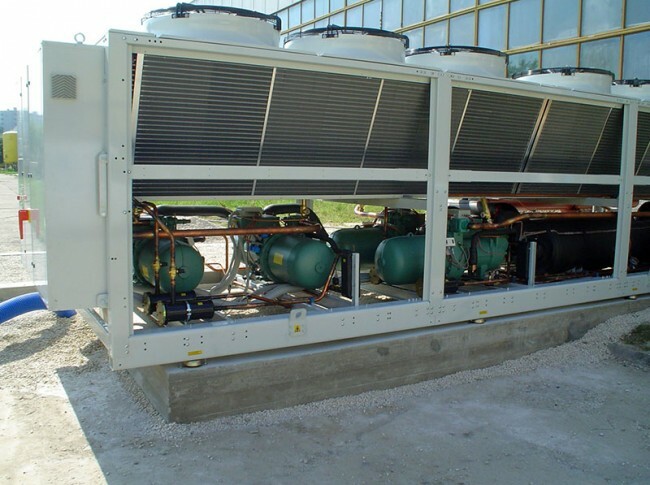 Upgraded system is DDC controlled.